– Check your outbound bandwidth at speedtest.net. Based on your available outbound bandwidth, choose the one highest quality from below that you can reliably stream. A good rule of thumb is to encode only up to 50-60% of your outbound bandwidth. For example, if you have 2Mbps of upload speed available, your combined audio and video bitrate should not exceed 1Mbps. The FPS value of your stream should match your original video source. 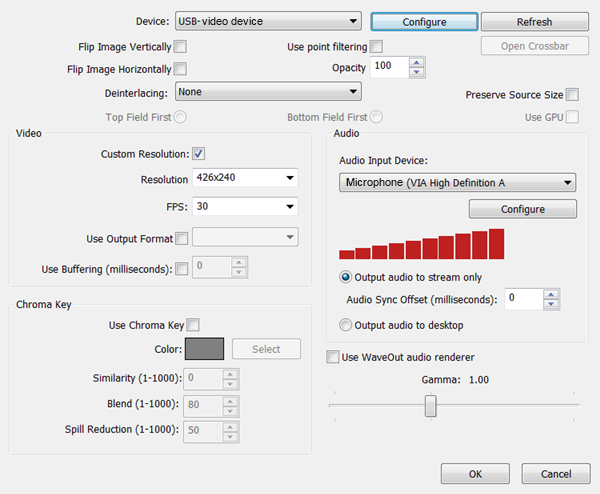 – We recommend streaming at a resolution with a 16:9 aspect ratio. It is best to either match your original video source, or scale it down. 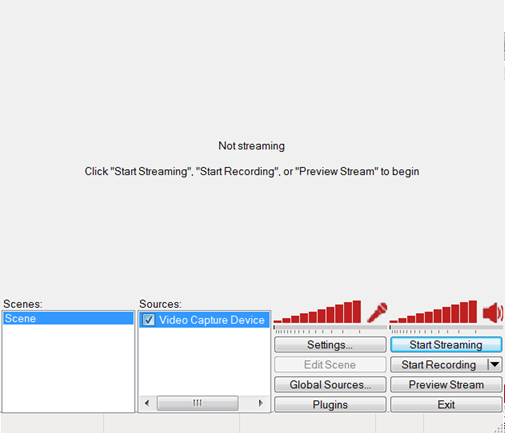 For example, capture at 720 and stream at 720. Or capture at 720 and stream at 480. You should never be scaling up and streaming at a higher resolution than your original video source. For example, it does not make sense to capture at 720 and stream at 1080. You will have no gain in quality and you are using more bandwidth than is necessary for you and your viewers. – Ensure your encoding CPU can handle your encoding settings. 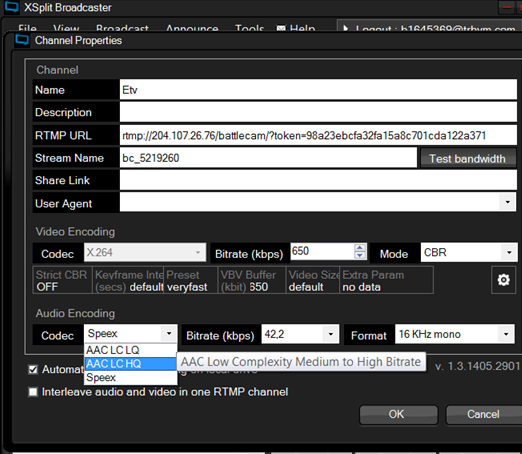 HD streams and high bitrate streams take significantly more CPU resources to capture and encode. 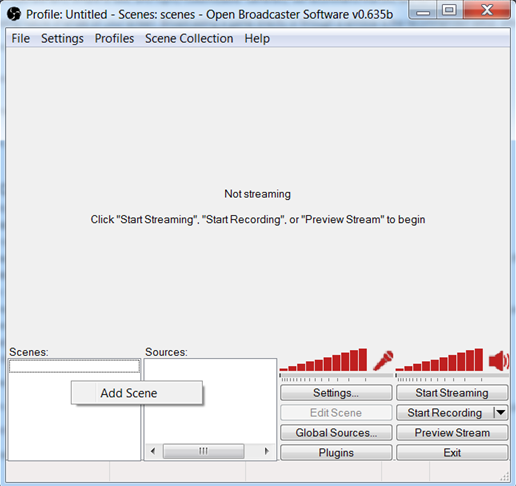 If you find your stream is dropping frames, you most likely are over-taxing your encoder. 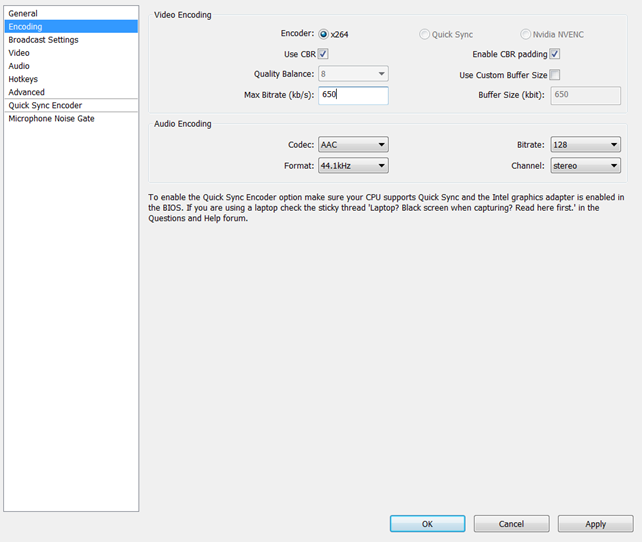 Reducing the input resolution size and or reducing your stream output resolution and bitrate can fix this issue. Most professional encoding programs allow you to monitor the CPU usage and whether or not you are dropping frames while encoding. Firstly choose your device and format, then Frame rate and Input size. We recommend you to maintain aspect ratio for better experience. 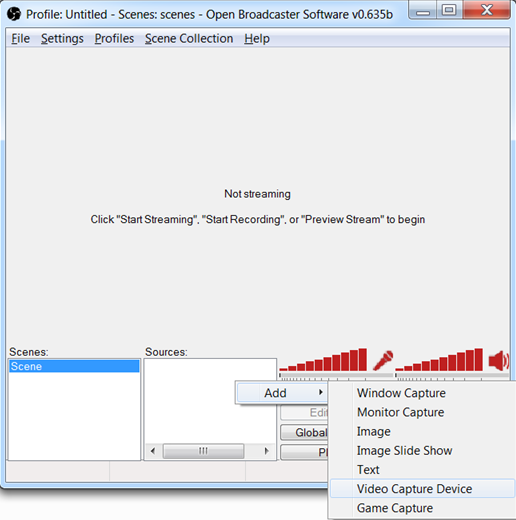 Choose a device and format for your broadcasting. Channels, sample rate and bit rate. 4. 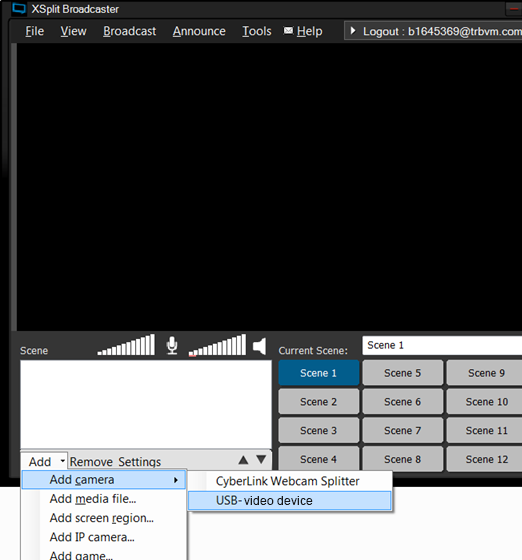 Set rtmp url and streamnameset rtmp url and streamname. 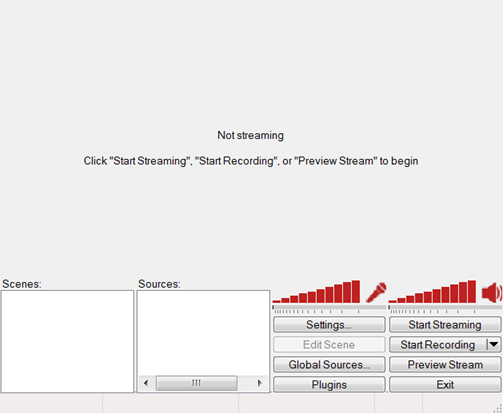 Set video and audio encoding options accordingly to recommended stream options. 5. Set input video size. 7. 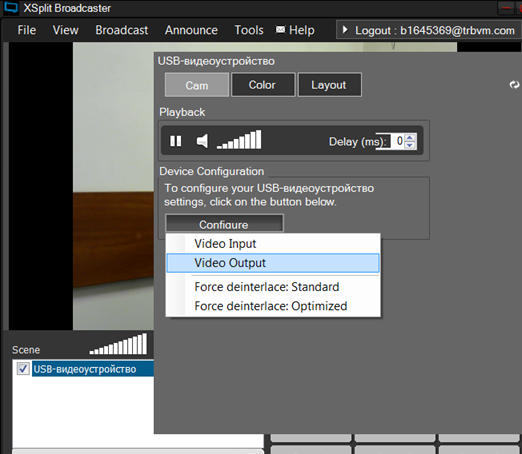 Click settings and configure your video output. 8. 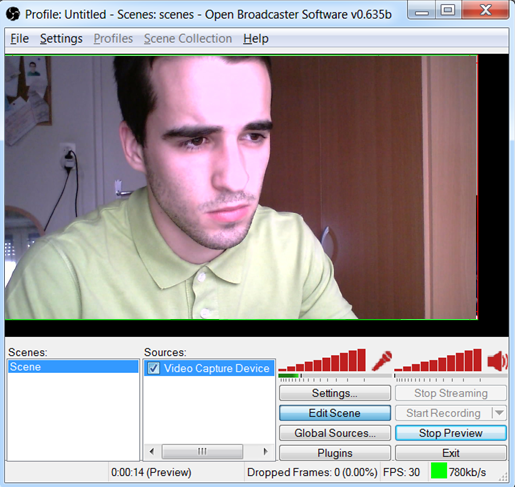 Set output resolution and fps, expand video to fit the whole scene. 9. Expand video rectangle to fix the whole scene. 10. 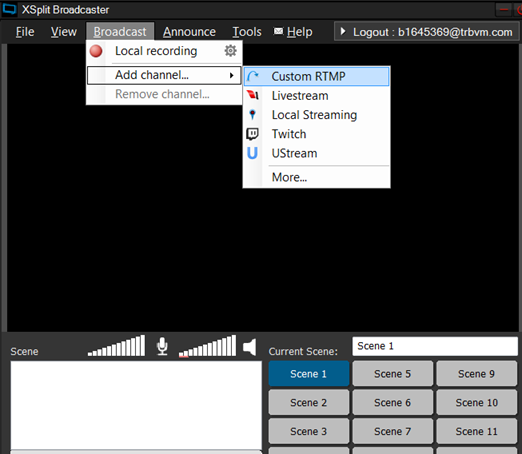 Start broadcast by clicking Broadcast and your channel (streaming profile) name. 2. 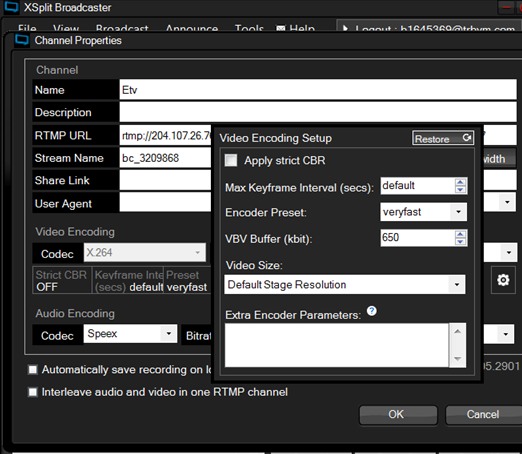 Set video and audio encoding options accordingly to streaming guidelines. 3. Paste server url and stream name. 4. 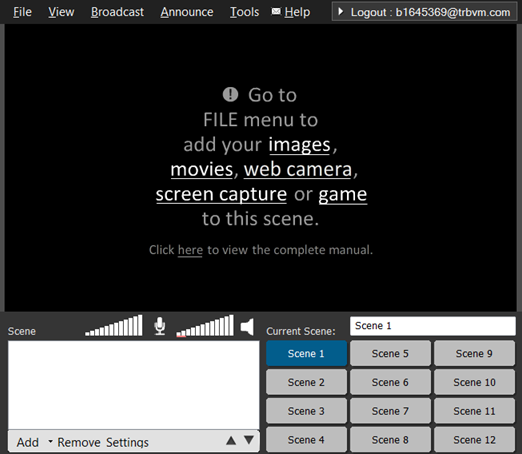 Add new scene by right click mouse on scenes. 5. 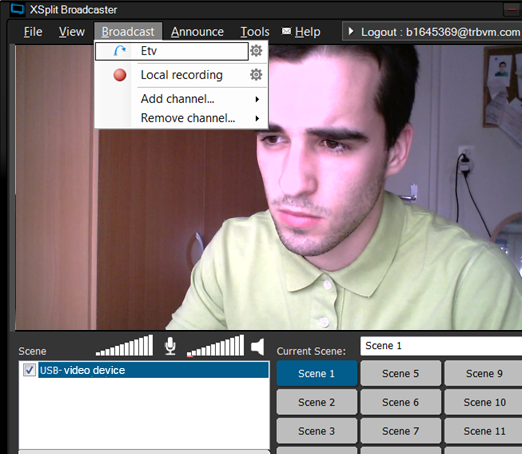 Add video capture device as source. 6. Select your camera (capture device) and microphone. Select video resolution and fps. 7. 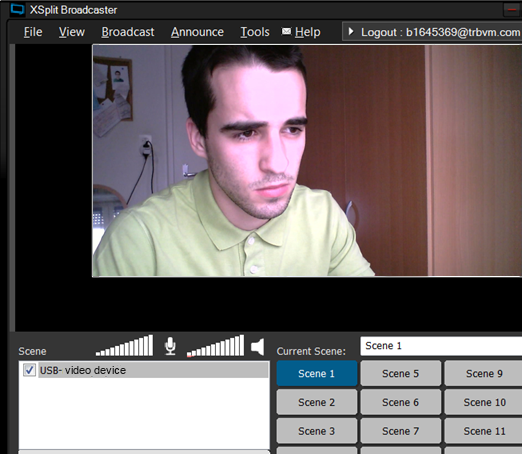 Start stream preview and click edit scene. Expand your video to fit the whole scene. 8. Now stop preview and start streaming.